Ali Osman Karahan, an 86-year-old Turkish man with walking and speaking difficulties has been kept in an Isparta prison for almost 12 months over alleged links to Turkey’s Gülen group, which Turkish authorities accuse of being behind a failed coup attempt in July of last year. 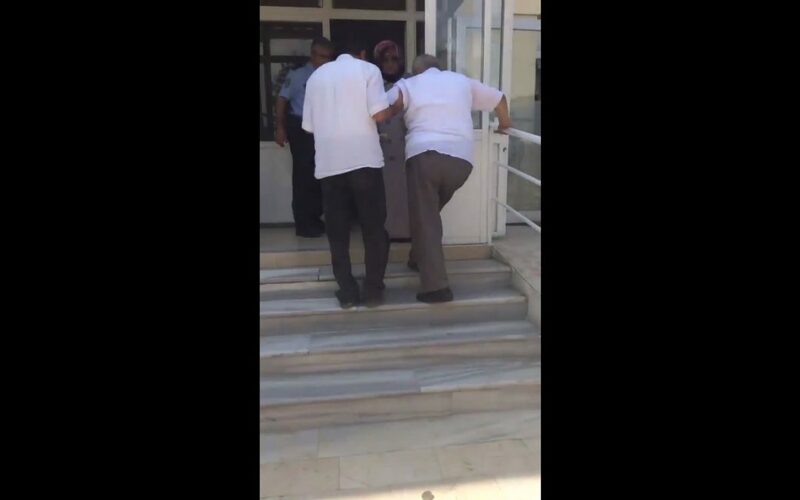 A video footage, posted by Karahan’s grandson on Twitter, shows the moment a police officer in plain clothes walks Karahan into a building where he will be testifying before a judge. According to the grandson’s tweets, Karahan was arrested by an Isparta court after the failed coup and was sent to a prison in Isparta’s Yalvaç district. Karahan has advanced-stage prostate cancer and has only one kidney.